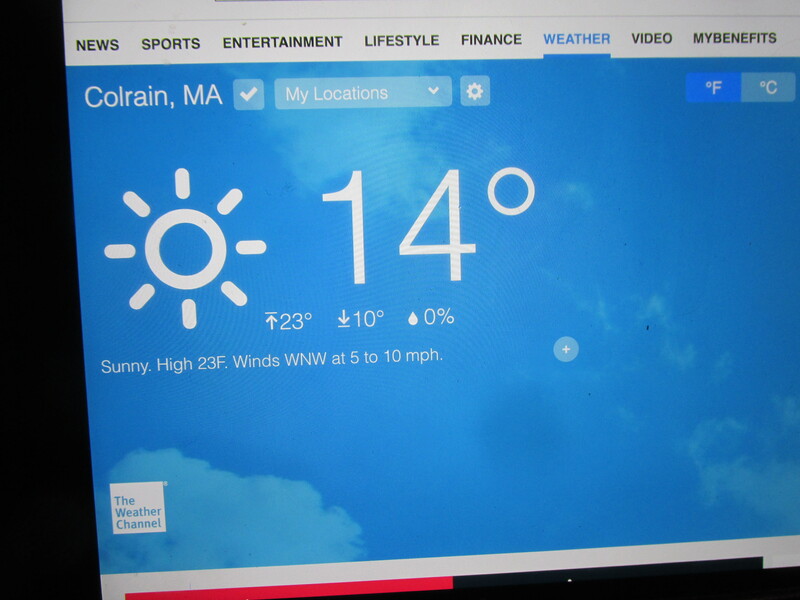 The cold has arrived and it was 4 degrees this am, tonight falling to about the same then a slight warm up. Not use to the cold at all. No frozen pipes so far. 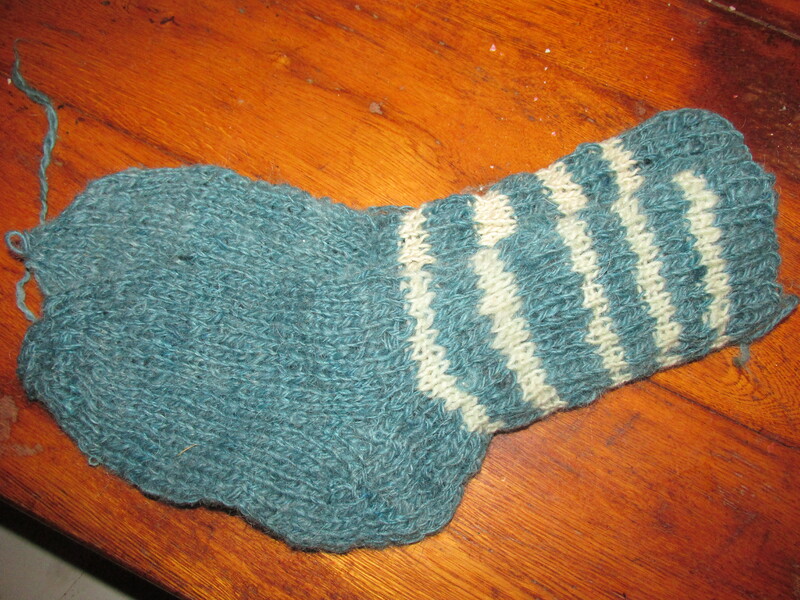 I have many unfinished sock projects and have finished the first of them today. 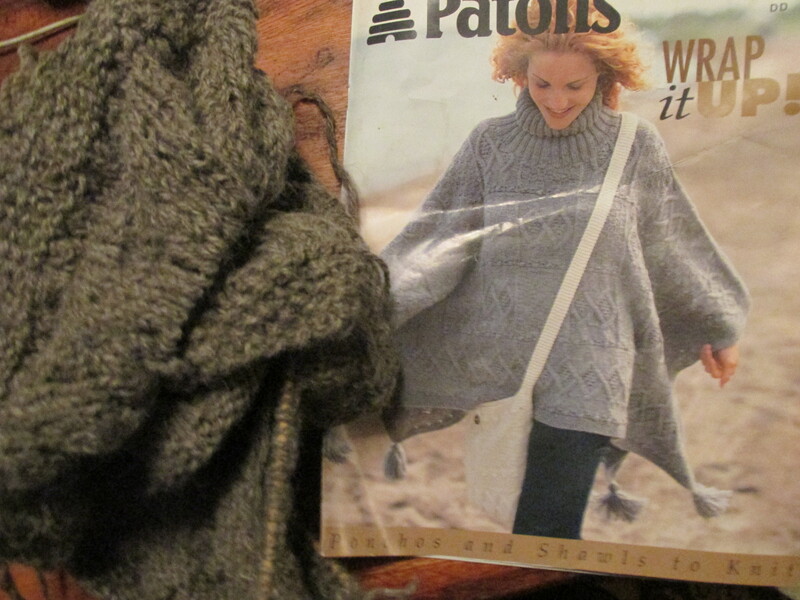 Have enough yarn left over to make a hat. 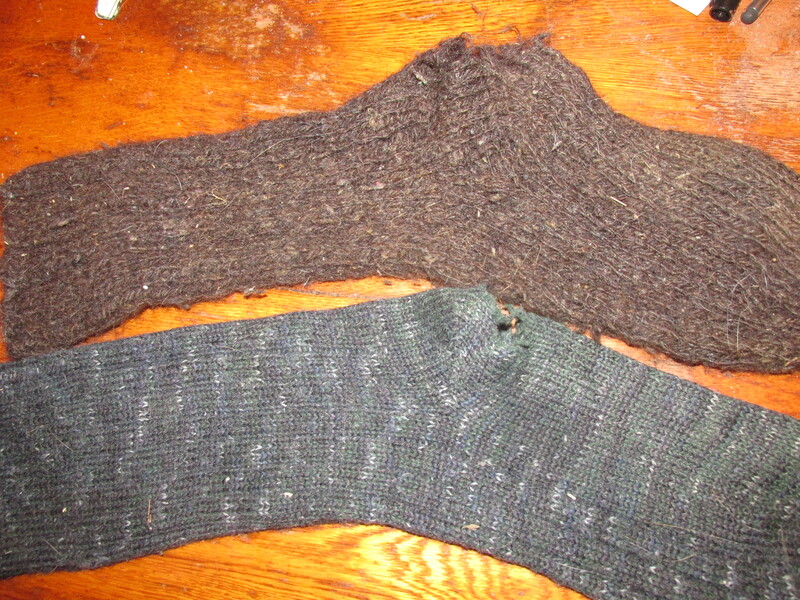 I have mending to do on these other two socks, it won’t take long. I bought two packages of bulbs this year. Just started one yesterday and will be doing a few every day from not on. Can’t wait till they bloom. Have had no luck with my Amaryllis this year. 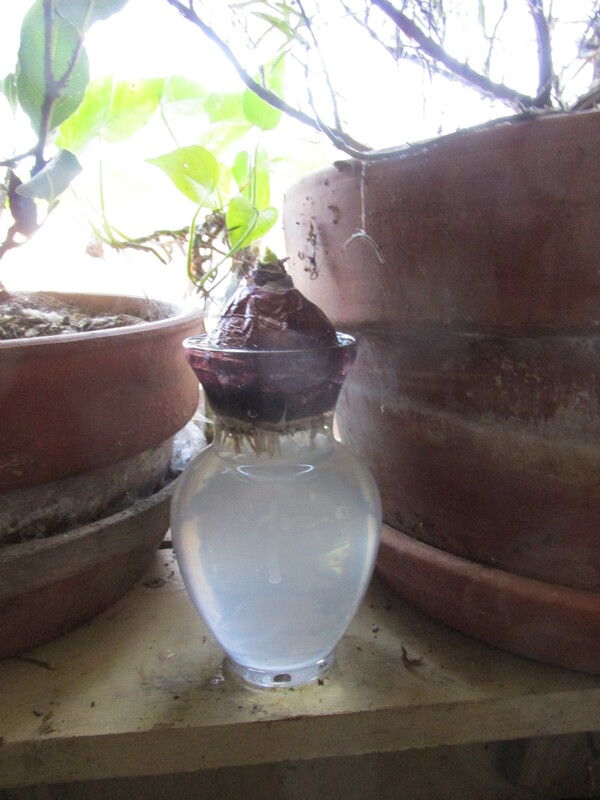 The bulbs are good and they were stored in a dark spot for 6 weeks. Guess they just aren’t ready. 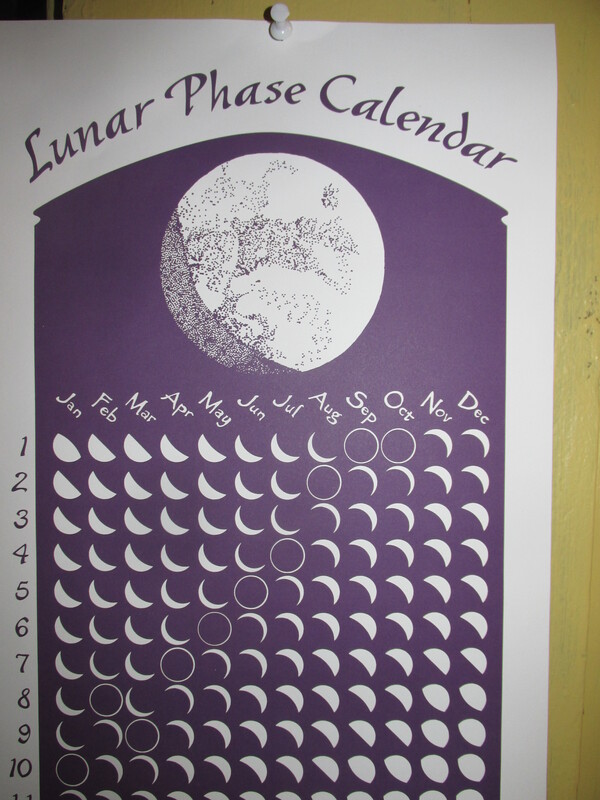 Every year I buy a Lunar Calendar. This year I hope to plant my garden by the moon. 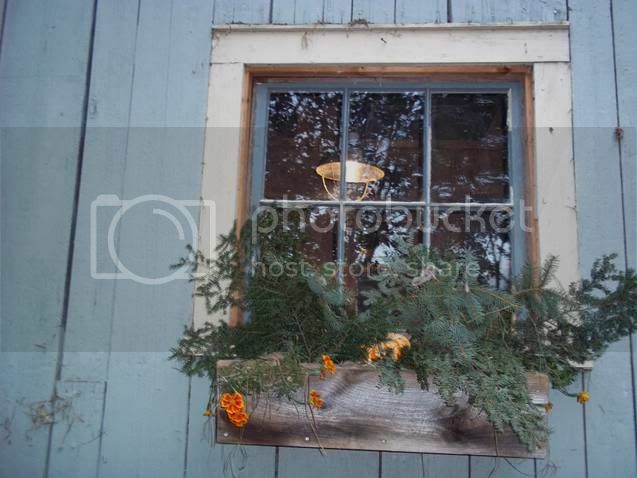 My Blogger friend Anne does and her gardens are wonderful and so productive. I have been thinking of you a lot. Hope you have a wonderful and healthy New Year. Hope we see more of each other during the year.